Article - What Exactly is Paintless Dent Repair (PDR)? What Exactly is Paintless Dent Repair (PDR)? Suddenly, you have a small dent on your vehicle’s hood, roof, door, trunk or anywhere else where hail, rocks or other flying objects hit your car. 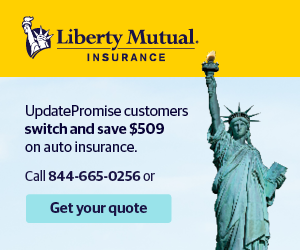 In the old days, you’d have to spend a lot of money to get that damage repaired, but thanks to a technology that has drastically improved over the past several decades you can get it repaired quickly and affordably. In short, Paintless Dent Removal (PDR) is a technique used by auto body shops that removes dents and dings, leaving the original paint in place. Here is a brief history of PDR, brought to you by Solesbee Auto Crafts Inc. in Yorba Linda, CA. Paintless Dent Removal was invented by Oskar Flaig in 1960 during the "International Motor Sports Show" in New York City. 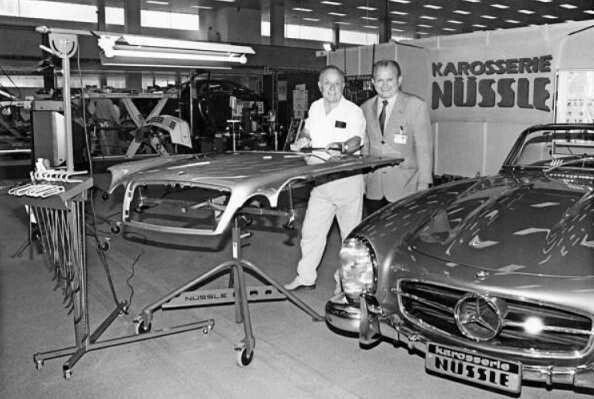 He was working for Mercedes-Benz, whose job was to take care of the paintwork of all the show cars presented by Mercedes at trade fairs. Scratches on the paintwork and small dents, produced by the public during the day, needed to be re-painted at night, so the cars would be in pristine condition for the next day. At the NYC show, Flaig used a hammer handle to push out a small dent, so that he could apply less filler before painting. It worked perfectly and everyone at Mercedes-Benz was amazed, so which eventually it led to the creation of PDR. PDR was first introduced on the consumer market in Argentina in 1972 and six years later in Australia, before ultimately being brought to North American in 1986 under the name of Dent Wizard International, by his founder Natalio Balderrama. Over the years, this technology has gained popularity with consumers who have been educated about the technique primarily when they take their cars to body shops worldwide. Today, PDR is so effective for hail damage that insurance companies will setup temporary facilities to rapidly assess and repair damage. Like SWAT teams, these PDR experts actually follow storms and set up operations in shops to take care of the deluge of vehicles that require paintless repairs. It’s become a huge source of ancillary income for body shops and almost every collision professional on the planet loves PDR! The most common PDR techniques utilize metal rods and body picks to push out the dents from the underside of the body panel. Glue and specially designed tabs may be used to pull out the dents from the outside of the panel. Fine tuning the repair often involves tapping down the repair to remove minuscule high spots. Quality technicians can blend high spots to match the texture of the paint called orange peel. Pushing too hard can create high spots that cause the clear coat to split or crack. Experienced technicians can avoid cracking or chipping with the use of heat, although a re-painted surface most likely will crack. When damage is so great that body filler is necessary, a PDR technician may "push to paint", resolving most of the damage before minor filling, sanding and painting, thereby saving time and cost. 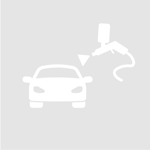 The process of Paintless Dent Repair requires a technician to adroitly manipulate precise locations of metal to the proper height, which can only be observed by the use of a PDR reading instrument such as a Paintless Dent Repair light. Fluorescent or LED lighting, or in some cases a reflection board, may be used to visualize the deformation of the dent and to assist the technician in finding the tip of the tool being used to push the metal. Without a reflection from a light source or board to read the dent, the fine detail of the process may not be ideal for the technician. So, the next time someone tells you that your car needs a little TLC by using some PDR, you’ll know what they’re referring to. It’s an affordable and fast way to remove those unsightly door dings, body creases and/or other small dents, by using this amazing technology, brought to you by the collision professionals at Solesbee Auto Crafts Inc. in Yorba Linda.